Interesting characters to populate your novel are crucial to your story’s success. And yet, too many times I find myself struggling to remember details of a character in a novel I read last year. Give your characters longevity and notoriety with these techniques. 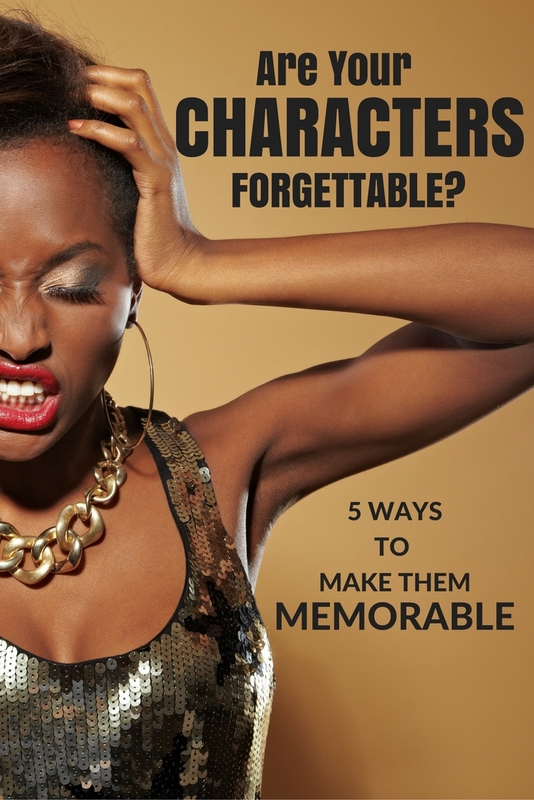 Don’t let more than 40 pages go by without mentioning a character. Characters who are important to the story include the protagonist, antagonist (villain), sidekicks or BFF, and a variety of characters needed to fill out a story. For example, if you’re writing a mystery, you’ll need a detective and probably some law enforcement officers (choose from FBI, county sheriff, city policeman, deputy, etc.). The policemen or policewomen need names. And once you introduce them with a grand entrance, you’ve got to keep reminding the reader of the importance of this character. David Farland says, “If you go more than forty pages without visiting a character, you’ve probably ignored them too long.” They don’t have to appear in a scene. Instead, you can have other characters talk about them or worry about them. Just don’t ignore them. Give them a memorable name. Every important character gets a name. Every unimportant character remains unnamed. Worldwide names. Take a look at the 11,554 athletes representing their countries at the 2016 Rio Olympics. It’s a cross-section of names across the globe. Mix and match first names and last names for more interest. Scrivener name generator. If you have Scrivener, use its built in name generator, my new favorite tool for names. Give characters some identifying characteristic. See: eagle tattoo, fake leather jacket with fur collar, moves with the grace of a cat, sweaty face. Don’t be fooled by the advice to “Show, Don’t Tell.” No, a story doesn’t work if all you give us is narration. Instead, readers need a scene where a character wants something but (ususally) doesn’t get it. Give the reader dialogue, actions, reactions, and events that make a difference to the story line. But while you’re at it, sometimes tell the reader what the character are feeling. It’s a delicate back-and-forth balance. If you don’t SHOW, it’s boring. If you don’t TELL, it can be emotionally shallow. You need both: SHOW, THEN TELL. Of course, it’s the interaction between the plot and character that really makes the character memorable. Give the characters deep, far-reaching problems. Put more at stake emotionally. Bring in family members to threaten. Widen the scope of the stakes. Answer the question, “If the character fails, so what?” Give the “so what” as much impact as possible. good points, Darcy. Especially about the show, then tell.